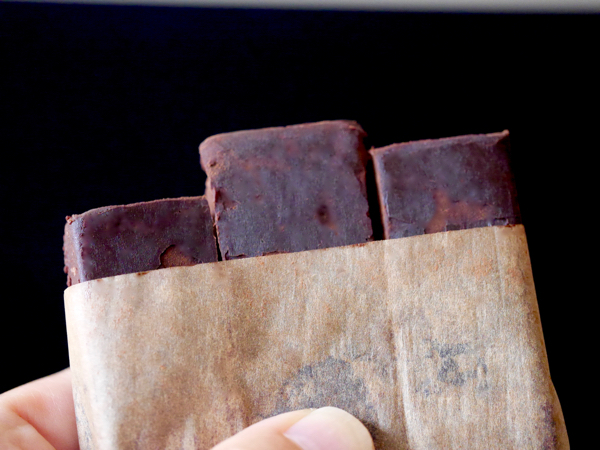 Welcome to Day #5 of Raw Chocolate Theme Week. Today's raw, paleo chocolate bar had a subtle, slightly floral coconut aroma, an authentic rich coconut and chocolate (organic cocoa powder and organic coconut oil) flavor, and a slightly chewy texture from small coconut shreds. The bar was seasoned with a light touch Himalayan pink salt. 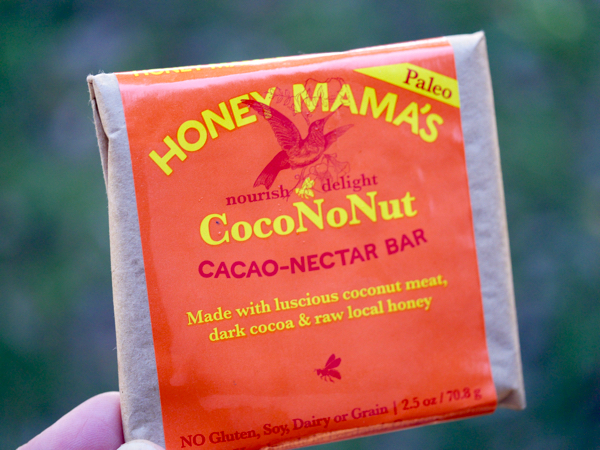 This raw chocolate bar was sweetened with honey** and made with "No Gluten, Soy, Dairy or Grain"—making it, as advertised, a suitable paleo chocolate offering. Make sure to keep this 3-piece bar refrigerated, as it starts melting if the temperature exceeds 76 to 80 degrees Fahrenheit. *Cacao-nectar in this case does not mean honey or nectar collected from tiny cacao flowers or plants, but rather a name for a bar that contains both cocoa powder and honey. **The honey came from Mickelberry Gardens (Troutdale, OR). Honey Mama's list of relationships with local (Oregon and Washington) ingredient suppliers on their website is not only commendably transparent, but also impressive.